OXFORD, Miss. 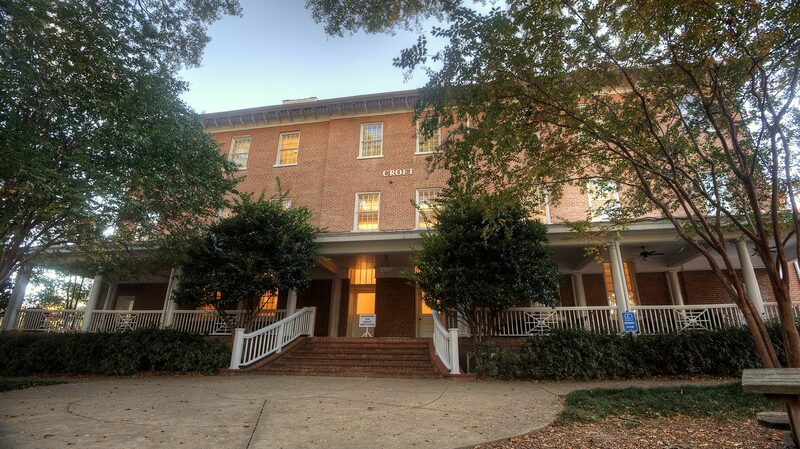 – Since its beginning in 1998, the Croft Institute for International Studies at the University of Mississippi has supplied students with the tools to become global citizens. Chief among these tools are acquiring a high level of proficiency in a foreign language and studying abroad, for either a semester or a whole year, in a country whose language they have been studying. Immersing oneself in the culture, history, language and day-to-day existence of a foreign land while studying abroad has proven to be a highlight of a student’s undergraduate career and aptly prepared Croft students for their future careers, either at home or elsewhere. “Any study abroad experience gives the student a newfound appreciation for a different country and its culture,” said Oliver Dinius, Croft executive director and associate professor of history. “What is special about the semester or year abroad for Croft is that students will see firsthand how the language skill and the regional knowledge allow them to gain a much deeper understanding of their temporary home. As the institute celebrates its 20th anniversary this fall, it has sent hundreds of students to countries around the globe for their study abroad adventure. During the 2017-18 academic year, 43 Croft students studied abroad for either a semester or year. Those students return to campus changed: more independent, more adept at tackling global challenges and more skilled at charting a career path in the world. Dinius studied abroad twice: first as an exchange student from Germany at the University of Oregon and at Harvard University, where he earned his doctorate, and later when conducting 18 months of field research in Brazil. Those diverse exploits helped him master foreign languages, be comfortable in different cultural environments and develop key skills to be a resident of the world. Here are what a few current Croft students remember about their study abroad experience and how that time affected their lives. 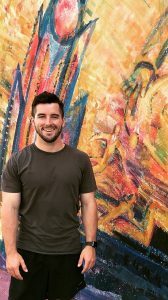 An international studies and Spanish major from Murfreesboro, Tennessee, Bass spent spring 2018 studying in Santo Domingo, Dominican Republic, at the Instituto Filosofico Pedro Francisco Bonó. While there, she took a variety of literature and history classes for her major – with all of the classes in Spanish. In the streets of Santo Domingo and around the Caribbean country, Bass also said she heard very little English, so the experience greatly improved her language skills. More learning came from outside of the classroom as Bass said the semester in the Dominican Republic made her “a more open-minded and curious student” that will affect how she studies and learns at UM. How much does Burns enjoy studying abroad? Enough that the Gulfport native has made three separate study abroad trips. The international studies and Arabic major first studied at the Modern Arabic Language International Center in Amman, Jordan, in summer 2016 and then returned the following summer. This spring, she returned to Amman for an internship with CET Academic Programs, a study abroad organization. At the center, Burns studied Modern Standard Arabic along with a Jordanian dialect of the language. This spring, she again studied Modern Standard Arabic and dialect for a semester in addition to taking a course on the refugee crisis in Jordan and interning twice a week with Partners-Jordan, a democratic and civil society organization. 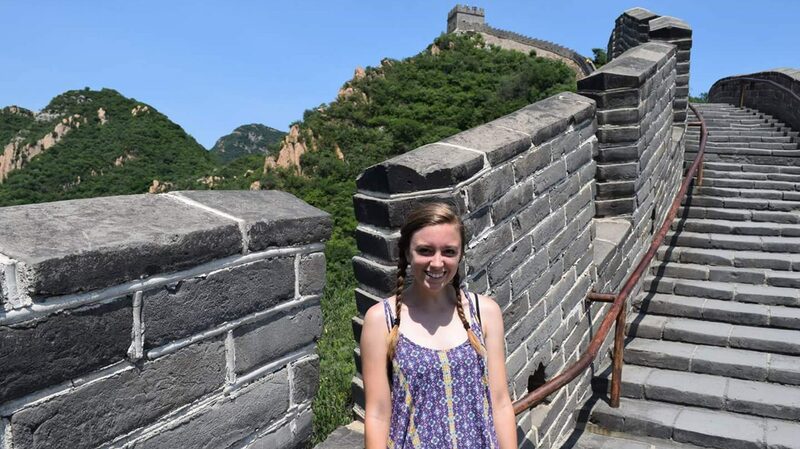 Caple, an international studies and Chinese major minoring in environmental studies, also has made three study abroad trips – all to China. The Huntsville, Alabama, native first studied abroad in Shanghai for an intensive language program in summer 2016. The following summer, she went to Changchun on a Critical Language Scholarship and took intensive Chinese classes again. This past summer, she interned with a social enterprise called Women in Leadership League in Shanghai, thanks to a substantial grant from the Freeman Foundation in Stowe, Vermont. With each trip, she was prepared because of her Croft studies. As a three-time study abroad student, Caple has some simple advice for students – Croft or not – considering going abroad to study: Go for it. “Even if you think it might not relate to your studies, go ahead and seek out information because you never know what kind of programs or interdisciplinary fields are out there,” she said. 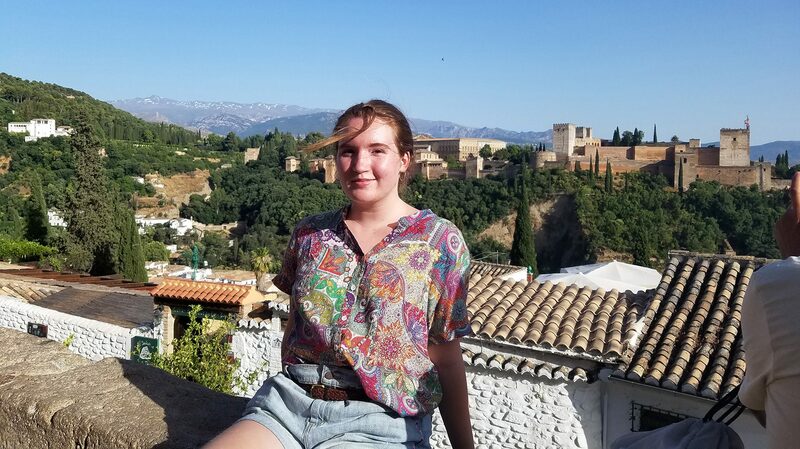 “An amazing adventure” is how Cook, an international studies major minoring in sociology, describes her study abroad trip to Spain this June. Cook, of Flowood, studied Spanish culture and history, and the Spanish language at Universidad de Alcalá in Alcalá de Henares, Spain, about 20 minutes outside Madrid. The suburb was once a Roman settlement, then a prominent medieval town with a rich literary history. Now, it is “a bustling, working Spanish metropolis with a quaint old town and a lot of history,” she said. “I learned an incredible amount in a city that really epitomized Spain as the intersection between ancient and modern,” said Cook, a 2017 Stamps Scholarship recipient. Well-prepared for speaking Spanish because of her Croft studies, Cook said the experience of living in Spain for a month made her more confident in her Spanish-speaking ability. “I understand that language learning comes in waves – some days were difficult just saying something nuanced while others were brilliant, and that’s something every language learner must remember and accept,” she said. “I was very lucky to have many, many kind strangers start conversations with me and give their time to me. Herring had heard that the study abroad experience is often called a unique semester in the life of a college student. After studying three months this spring at the University of Cologne in Cologne, Germany, Herring understands why. “I had a wonderful and exciting time,” said Herring, from Olive Branch. The international studies, German and economics major studied German and participated in the Global Study Program, where he studied several different topics, most notably European Union economic law, EU development policy and the effect of globalization on European political discourse. While his time abroad this spring helped with his language skills, he really discovered how to solve problems and address challenges he hadn’t faced in the U.S. Herring also offers some advice: “Make sure to find out as much as you can about what you need to do” before heading abroad, especially if you are responsible for your housing. A native of Independence, Kentucky, Pfaehler did not have the typical study abroad experience. 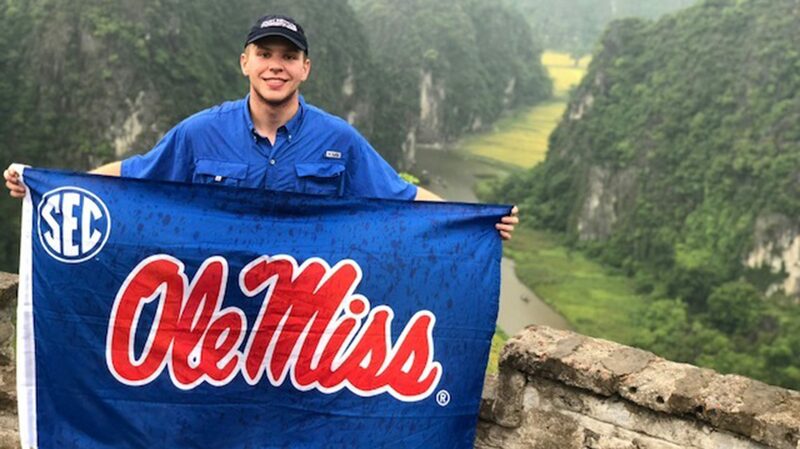 Thanks to a substantial grant from the Freeman Foundation in Stowe, Vermont, Pfaehler spent June and July of this year not studying at a university, but at the Vietnam National Children’s Hospital in Hanoi. “I observed surgery and studied congenital anomalies in three different departments: plastic and craniofacial surgery, cardiovascular surgery and orthopedic surgery,” said Pfaehler, who is majoring in international studies and French along with minors in Spanish and chemistry. Pfaehler spent about 45 hours a week shadowing and assisting doctors at the hospital. “I thoroughly enjoyed my time in Vietnam and I believe that the Croft Institute prepared me for this experience by opening my mind to trying different things, whether it be learning new languages, talking to complete strangers or exploring the lesser-known parts of the world,” he said. “My internship in Vietnam expanded my knowledge and love for medicine, allowing me to make a difference in the lives of young children born into very disadvantaged situations,” he said. 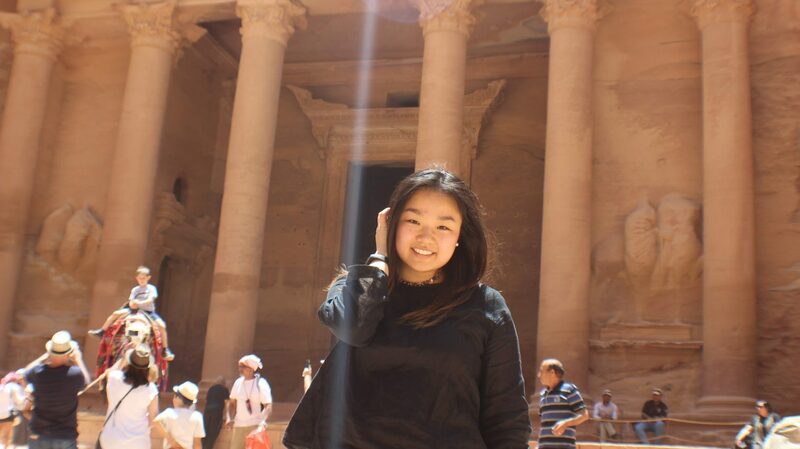 Wang, a native of Randolph, New Jersey, has enjoyed her study abroad experiences so much that she is still overseas, studying at Al Akhawayn University in Ifrane, Morocco, this semester. Her latest studies are part of a whirlwind study abroad journey that started in Meknes, Morocco, at the Arab American Language Institute studying intensive Arabic in summer 2017. 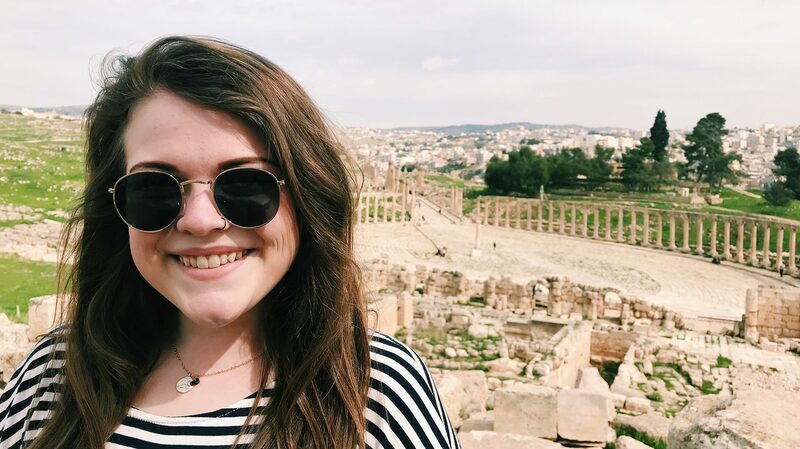 After a year at UM, this summer she completed an intensive language institute program with the U.S. Department of State Critical Language Scholarship Program in Amman, Jordan. She also briefly studied Moroccan Arabic dialect in Rabat, Morocco, before starting her fall at Al Akhawayn University. “The Croft Institute has afforded me incomparable opportunities to accumulate exposure, appreciation and understanding in unfamiliar cultural contexts,” said Wang, an international studies, Chinese and Arabic major. She also is pre-medicine, minoring in chemistry. Her pre-medical studies are following an unconventional path, she said, but that’s intentional, as cultural understanding and study abroad help individuals develop greater empathy. “Through close collaborations with the UM’s intensive Chinese and Arabic programs, Croft has been able to offer me an extraordinary program to holistically study the world,” she said. 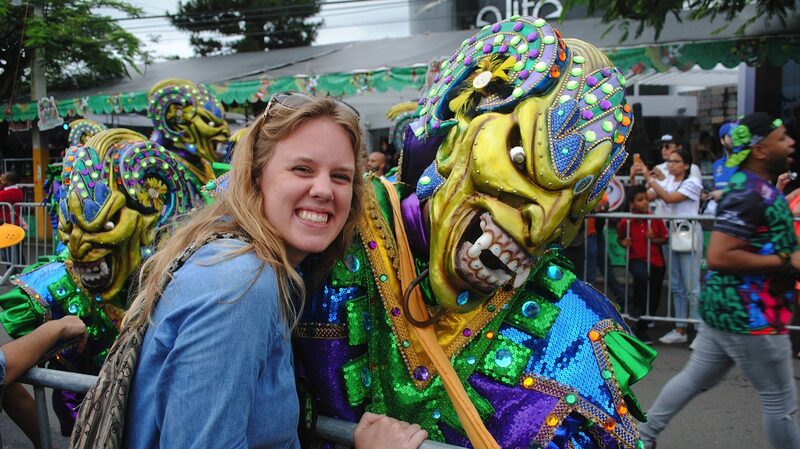 For the last 20 years, Croft students have had opportunities to experience a foreign culture during their semester or year abroad. With the institute’s 21st academic year underway, another cohort of Croft students will be heading abroad, and while they may go to the same countries and programs as in years past, the individual experience always will be unique.